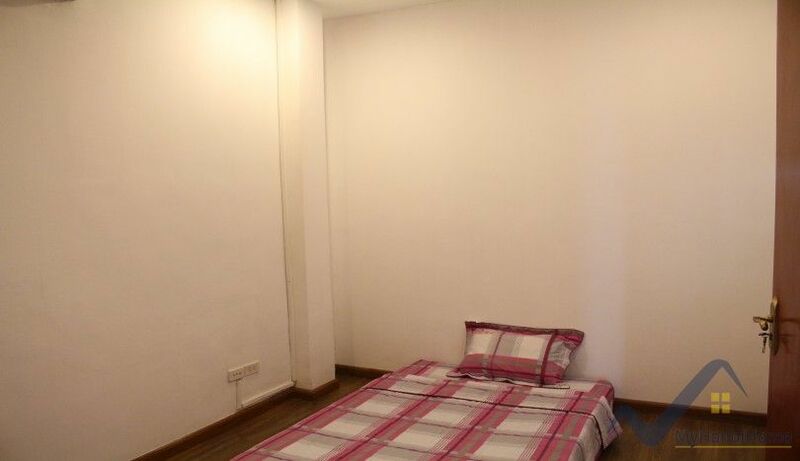 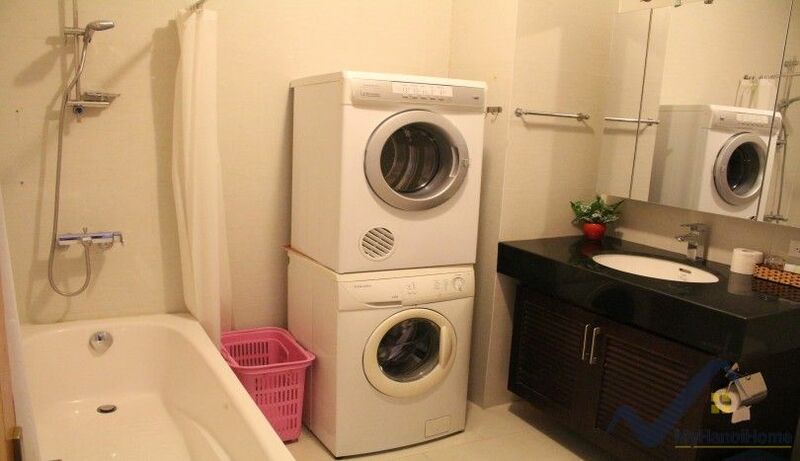 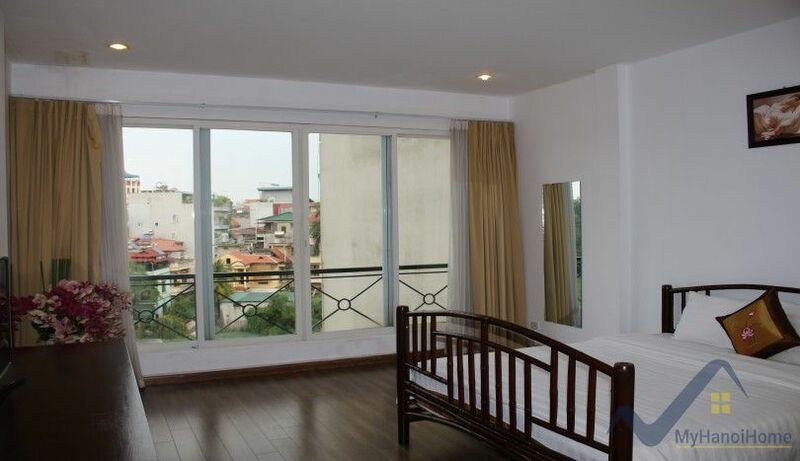 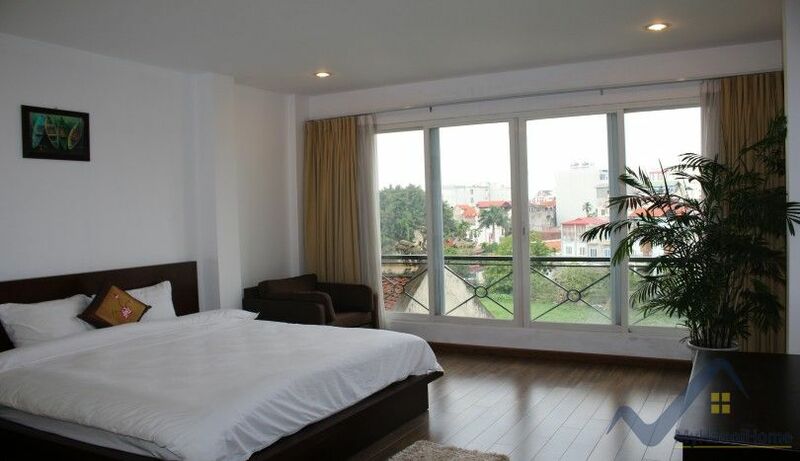 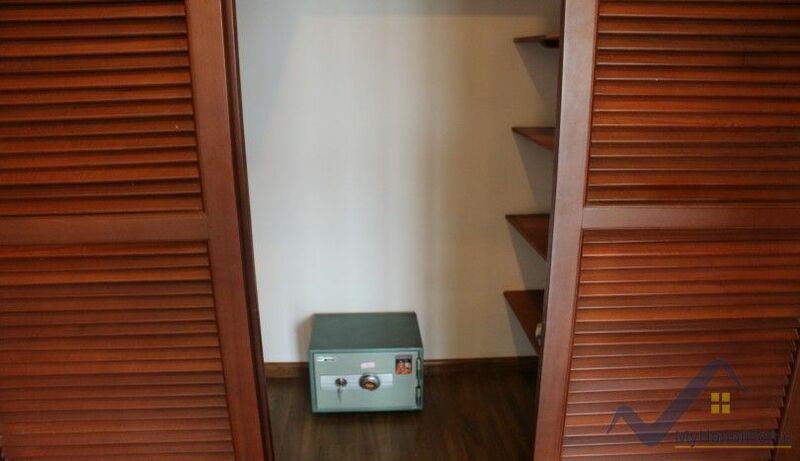 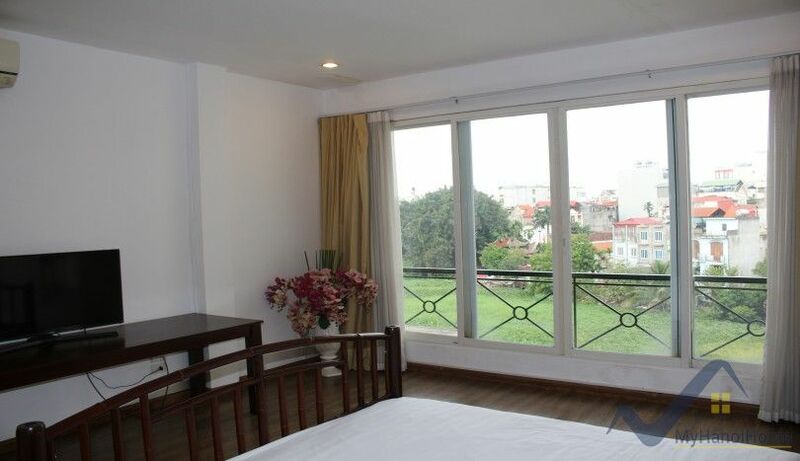 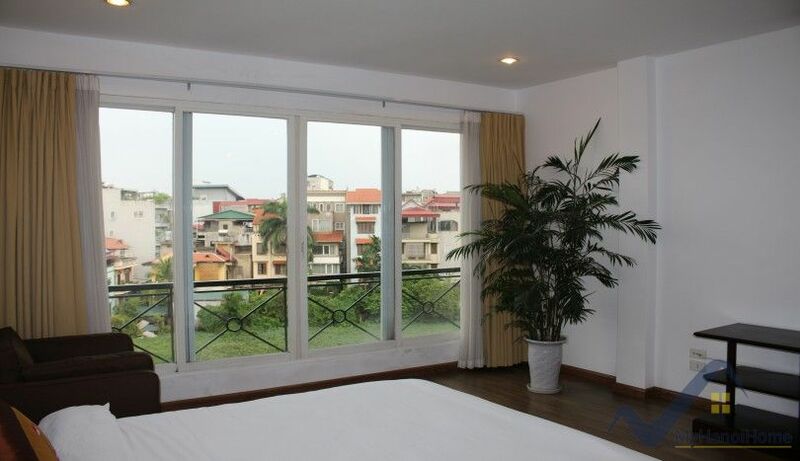 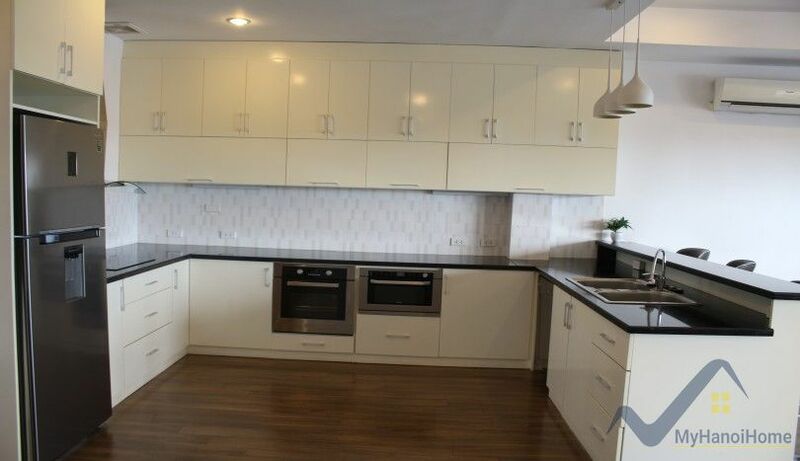 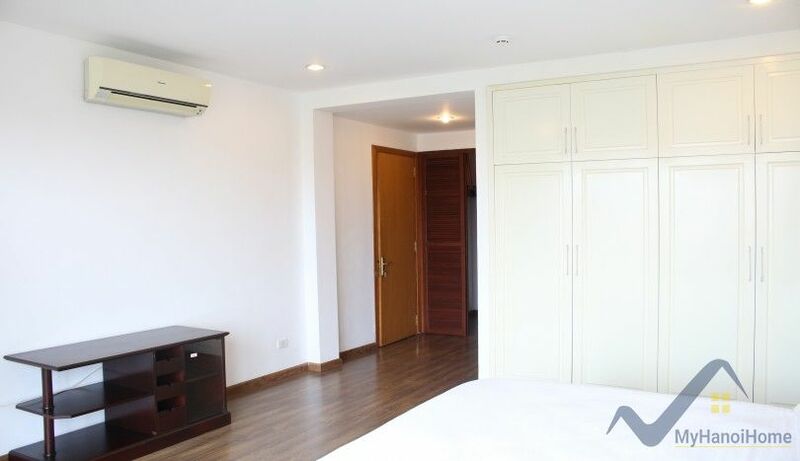 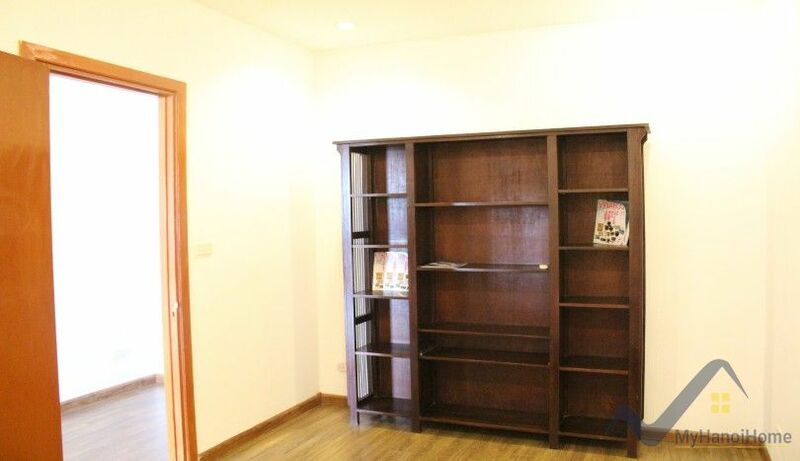 This furnished 03 bedrooms apartment in Tay Ho is situated on Xuan Dieu street, within a short walk to Sheraton hotel or Syrena shopping center. 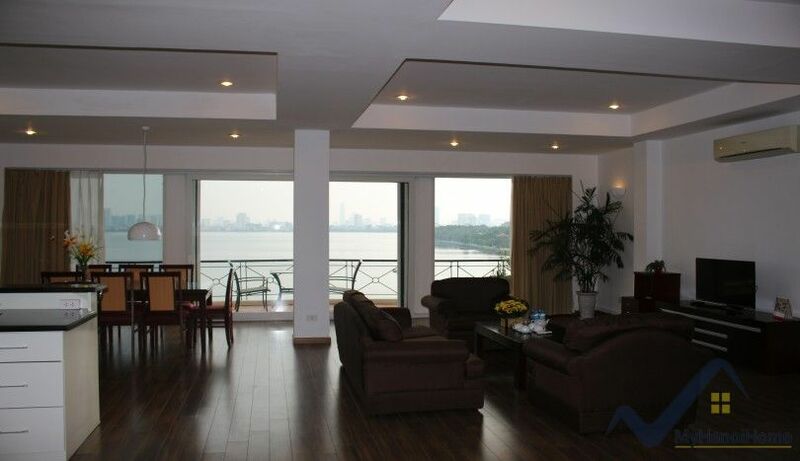 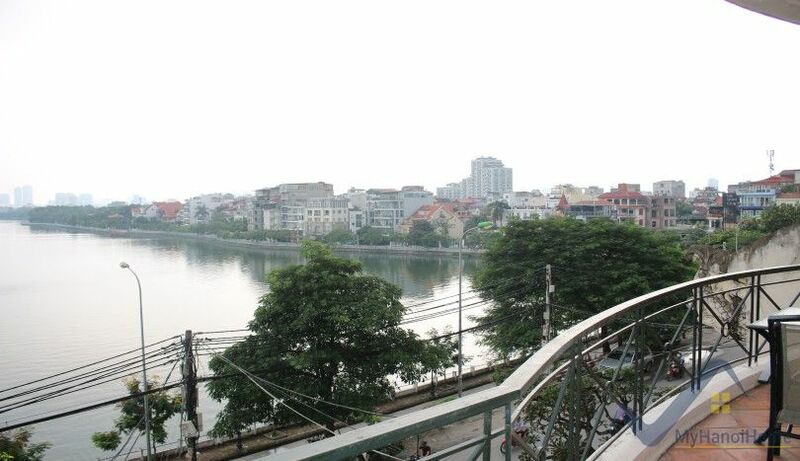 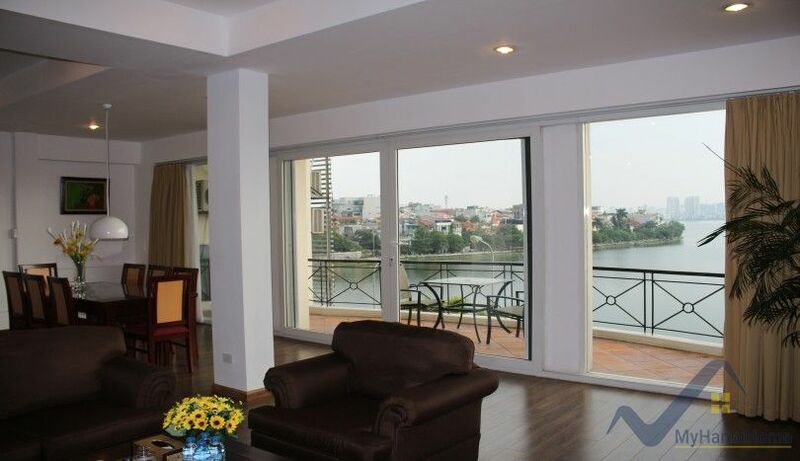 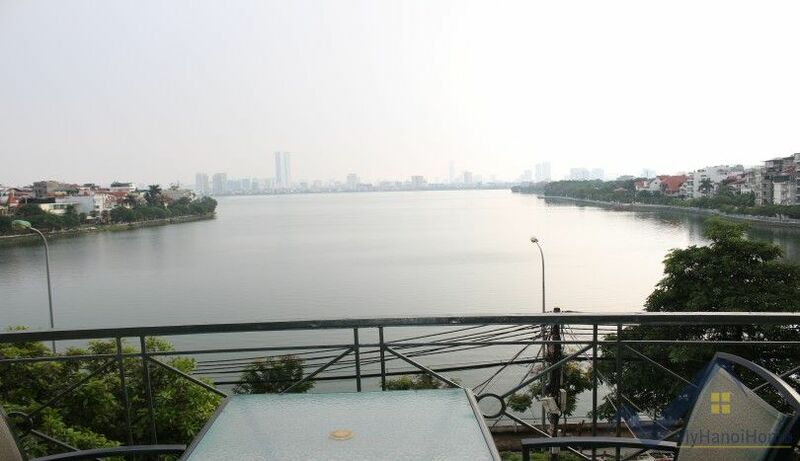 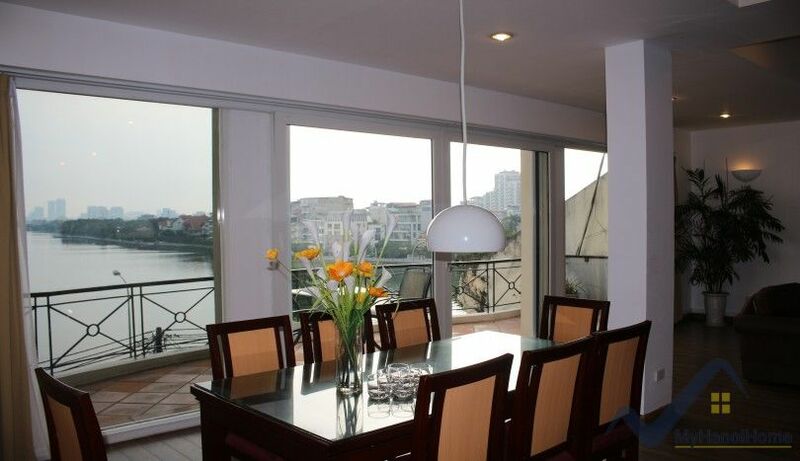 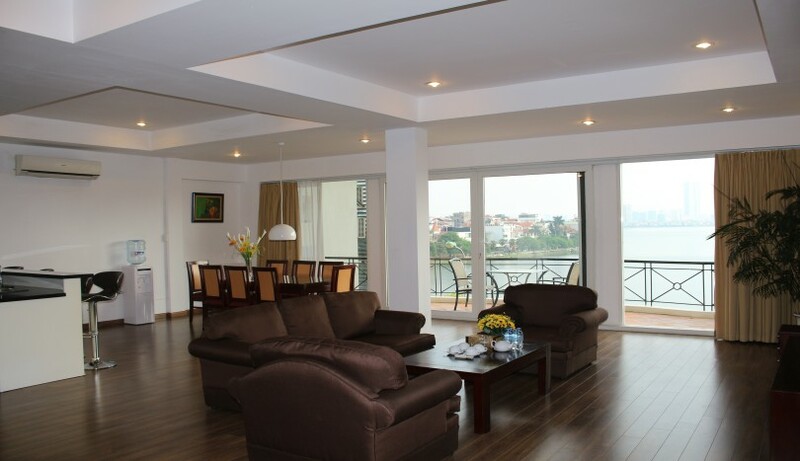 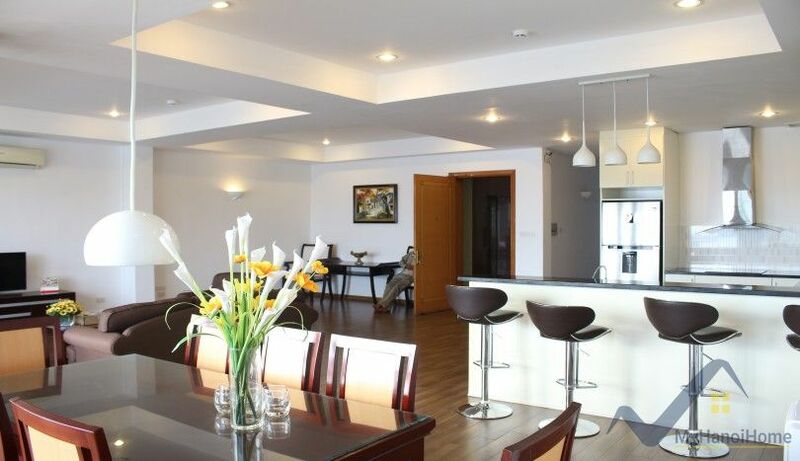 The apartment has an open living area with a large balcony overlooking the Westlake. 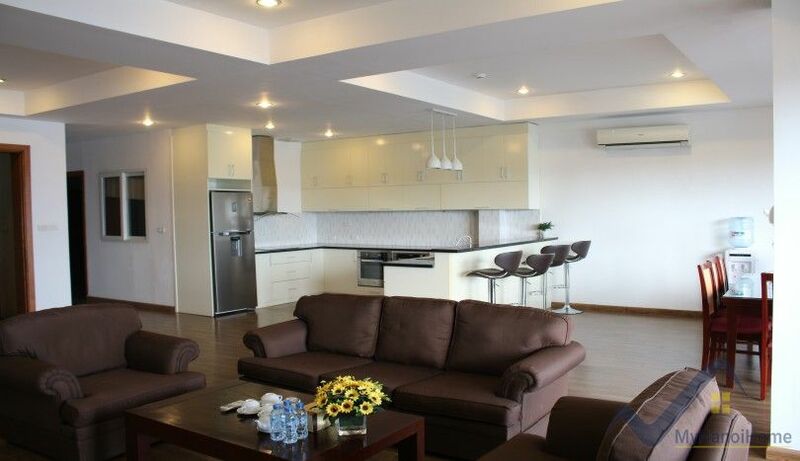 The apartment in Tay Ho benefits 200 sq m of living space. 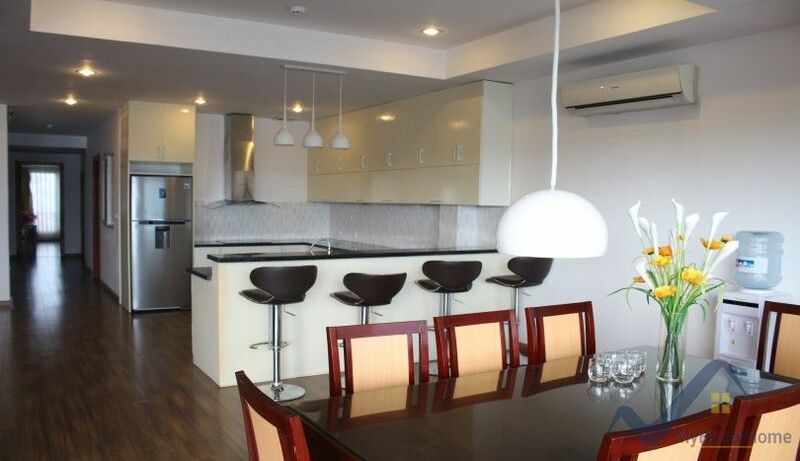 The kitchen area comes with fully equipped with built-in oven, microwave, big fridge etc. 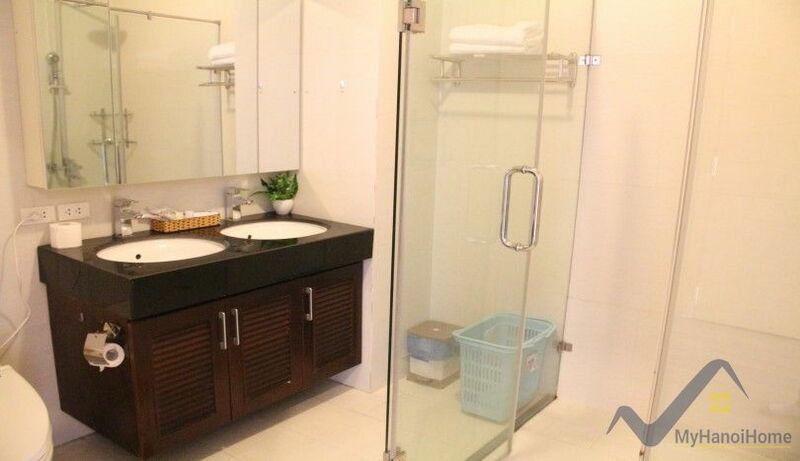 It composed of three double bedroom with an ensuite bathroom, two further bedrooms with a shared bathroom. 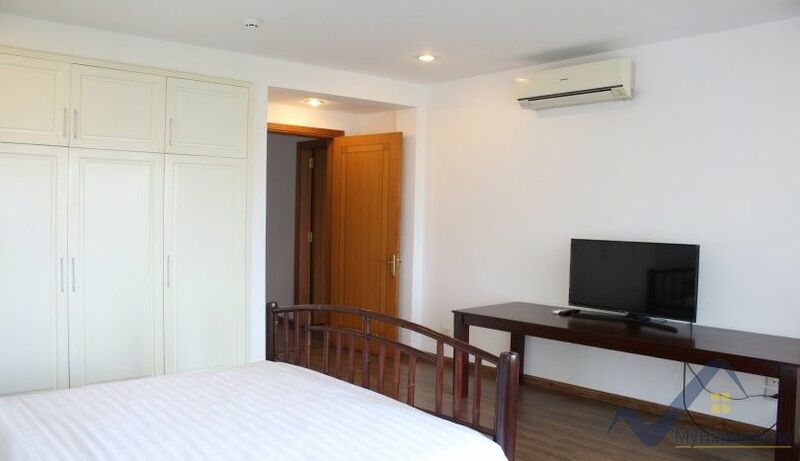 The monthly rent is inclusive of housekeeping services three times per week, 24 hour security guard, internet WIFI, cable TV, tap water etc.